After a 56-year career with one of the more successful drum corps in history, you would think Don Warren would hang up his green hat. Not so. "I still work every day on it," Warren says of the marching entity he created, which was renamed the Cavaliers in 1951. That year the corps also donned its first green, black and white uniforms. Warren caught the drum corps bug at a Boy Scout jamboree at Chicago's Soldier Field in 1946, after watching the Racine Scouts perform. As a scout leader, he convinced his troops to pick up instruments. "They were getting tired of tying knots," Warren said of his troop's early enthusiasm for forming a drum corps. Under his leadership, the Cavaliers won the VFW National Championship title in Miami in 1957, where a steady rainstorm ensured that the corps' new plastic drumheads would outlast the waterlogged percussion competition. This early championship transpired despite Warren's lack of musical prowess. "I can't read a note of music, but I play a mean radio," Warren said. In 1961, Warren's Cavaliers rode to an undefeated season, which the corps would reprise in 2002. Throughout the 1960s, meanwhile, the Chicago Cavaliers were the drum corps force to be reckoned with. Along the way, Warren sowed the seeds that would become Drum Corps International in the winter of 1970-71, after a series of meetings and phone calls with of Jim Jones (the Troopers), Bill Howard (Madison Scouts), Dave Kampschroer (Blue Stars) and Gail Royer (Santa Clara Vanguard). The five agreed that competing corps should have more control over rules, judges and their own destinies, which necessitated a break from the VFW and American Legion organizations that had administered all drum and bugle competitions until that time. 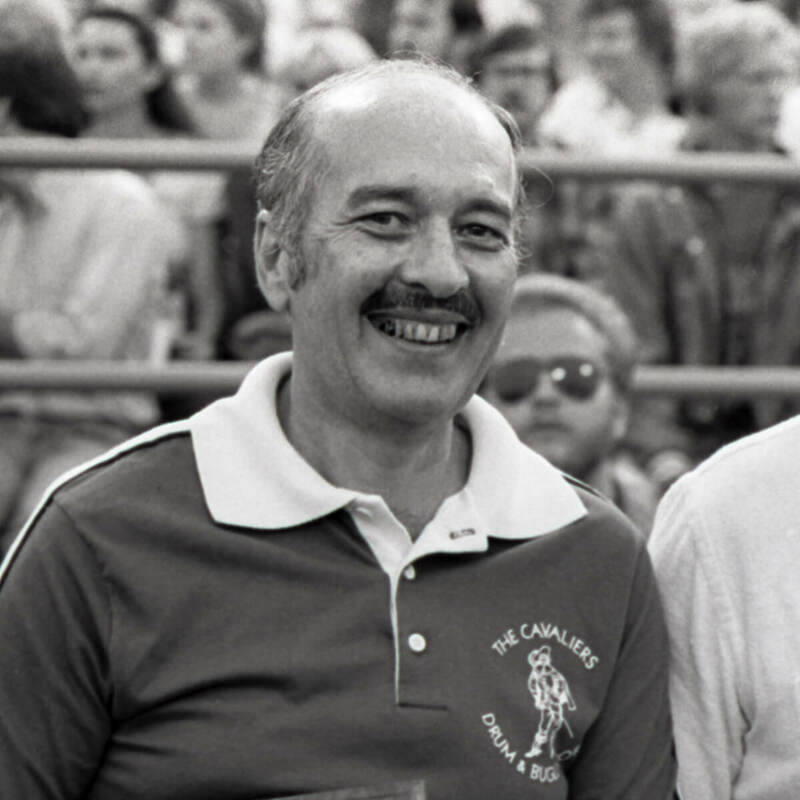 Warren handed over the day-to-day management of the Cavaliers to a corps manager in 1975, although he remains active as president and chairman of the board. His responsibilities still include chairing the corps board, managing various department heads, handling the corps' insurance and supervising the entire operation. Never a full-time corps director, Warren enjoyed a successful career as a commercial insurance broker for a major insurance agency. Warren and his wife, Janette, have four children, James, Jeanette, Michael and Daniel, as well as eight grandchildren.